The Unsung Cigar Hero: the Cameroon Wrapper! In a world where aggressive cigar flavors get all the press, it’s easy for mild manners to be overlooked. Perhaps it’s a matter of nice guys finishing last, but more ligero (the strongest tobacco leaves from the top of the plant), doesn’t always mean more flavor. Ultimately, the best cigars are created through careful blending of a variety of primings and tobacco types. Finding that special blend of filler, binder, and wrapper (the three elements of cigar construction), is key to great cigar flavor. Although the “official” opinion of the Cuban cigar industry is that cigar wrappers are mostly decorative, non-Cuban cigar smokers quickly learn that the wrapper adds a ton of flavor to any cigar. And this has never been more evident than with the delicate flavor of the wrapper grown in the obscure African nation of Cameroon. The qualities that make a cigar great will vary depending on the smoker. Some of us like “earthy” flavors, while others gravitate towards an “herbal” flavor profile. The great thing about non-Cuban cigars is that the variety seems to be endless. Once we “get off the island”, a whole world of tobacco varieties opens up. Like a vicarious traveler, we can envisage exotic locales through the cigars we smoke. Nicaragua is where we go for aggressive, spicy flavors; Honduras provides an element of richness; but lately, I’ve been “traveling” to the African nation whose tobacco bears its name. Cameroon is the perfect place to grow cigar wrapper tobacco. Its soil is rich and requires little fertilization; the temperature and humidity is favorable; and the diffused sunlight provides optimum growing conditions. The most delicate cigar wrappers are “shade grown”: that is, grown under cloths that disperse the otherwise direct sunlight. In Cameroon, cloud cover acts as a natural diffuser, eliminating the need for tenting.1 This, in turn, makes for a thinner, more delicate tobacco leaf…one perfectly suited for the outer layer of a cigar. But the delicate Cameroon wrapper is not without its drawbacks. The characteristic that makes it so delicate is also what makes it difficult to roll. It’s a wrapper that only the most skilled torcedores (cigar rollers) can handle. Plus it’s a smaller leaf compared to other varieties. This makes larger vitolas even more challenging to roll. But the challenges are well worth the extra effort. 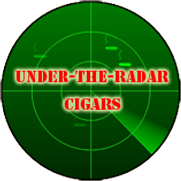 As a cigar-o-phile, it’s easy to get caught up in the latest trends of cigar tastes. Currently, this ligero craze has gotten me pretty worn out. I sometimes find it impossible to finish a cigar in one sitting. This diminishes my enjoyment of my “cigar time”. I’m now looking for balance and flavor, without the punishing effects of high nicotine levels. And this is where the Cameroon wrapper really excels. It’s got tons of flavor, without the heavy-handed, aggressive qualities of trendy sun-grown wrappers. 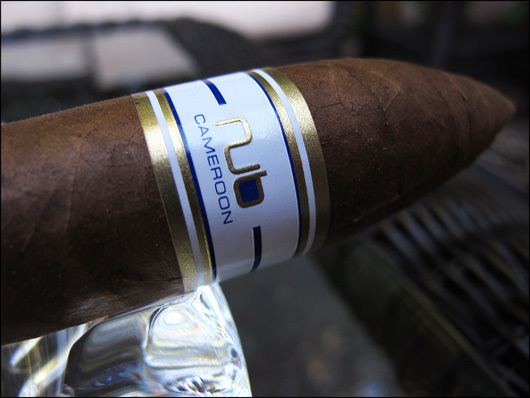 The Nub Cameroon is highly recommended. Although sun-grown wrappers are now popular, shade-grown has always had a loyal following. Most of us cut our teeth on Connecticut shade-grown cigars (claro). Its mild characteristics are a logical place to start the cigar smoking adventure. But flavor-wise, the Conn. Shade is almost too delicate to taste. I’m not sure I could define its flavor profile. In comparison, the Cameroon has a distinctly woody flavor that is immediately discernable. This character blends nicely with other tobaccos and tends to enhance cigars of herbal or floral qualities. Cameroon cigars are generally mild, but deliver enough flavor be enjoyed right to the nub. Unlike some Conn. Shade cigars, the flavor increases as the cigar is consumed. A good Cameroon is never boring. The “toothy” Cameroon wrapper of the Cx2. Physically, the Cameroon leaf is easily recognizable. It has a toothy texture that can, in some cases, feel almost like sand paper. Its color too, is not particularly nice. With a light brown, almost green hue, it’s a color void of richness. A Cameroon cigar won’t win any beauty contests. Compared to the beautifully golden color, and smooth texture of Conn. Shade, the Cameroon is certainly less attractive. But I honestly feel that, in the case of the Cameroon leaf, uglier is better. I’ve smoked some cigars that were billed as Cameroon, but were void of all the physical features (i.e. the Camacho Select). This resulted in a generic flavor, hardly detectable as that of a Cameroon. By contrast, the CAO Cx2 has a highly textured complexion, and tremendous Cameroon flavor.2 The same is true of the La Flor Dominican Cameroon. This cigar looks so rustic, it would be in place sticking out of Clint Eastwood’s mouth in The Good, The Bad, and The Ugly. But the rewards come upon smoking this intensely flavorful stick. That wonderful Cameroon quality is something so distinct, that it makes an impression. It leaves the smoker with a Cigar Memory that is singular and rewarding. So, if you are like me, and need a change from the powerhouse ligero trend, I recommend any of the great Cameroons listed below. 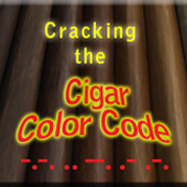 Or, if you enjoy your cigars mild, and have been relying on Conn. Shade cigars for your cigar of choice, the Cameroon could add nice variety to your cigar rotation. Sometimes it’s good to get out of the neighborhood, and experience other cultures. 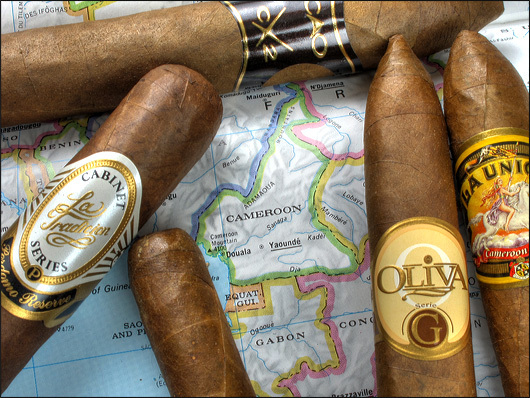 In the world of cigars, the African nation of Cameroon makes for a great cigar smoking adventure. 1 This is also true in Ecuador, another country known for its outstanding cigar wrapper tobacco. 2 The CAO Cx2 has an additional layer of Cameroon wrapper in its binder. This serves to enhance the Cameroon flavor. But the theory of “uglier is better” is born out in other, single Cameroon cigars. I completely agree. I’ll take rich flavor over strong flavor any day. I would add the Carlos Torano 1916 Cam to your list. Very interesting review, I am going to smoke a Cameroon in the near future, I think I have, but can’t remember how long it has been, thanks again. I’ve smoked all the ones on your list @ one time or another and I like em all esp. the Olivas ( I go thru a lot of them ) I tend to smoke a milder cigar around Mid-day/early afternoon most days and light up a fuller one in the AM or just before ‘Taps’ I wonder how would a Aturo Fuente Spanish Lonsdale be dressed up in a Camaroon wrapper rather than the Claro ( Conn ) wrapper, I’m guessing nothing short of great.